I’m Dr. Derek Hauser. I’d like to welcome you to our family! We call it a family because our practice is more of a family than any practice you’ve ever visited. My staff and I are only half the equation…our loyal patients are the other half. During these challenging times, we feel it is so important to spend your time, energy, and hard earned money where you feel at home. A place where you know you will be cared for with the utmost skill and comfort. Our goal is, of course, to help you keep your teeth looking good, feeling good, and make them last for years to come. That is why we are so committed to utilizing the highest technology, the finest materials, the most current techniques, and over 25 years of experience to deliver the finest care available! 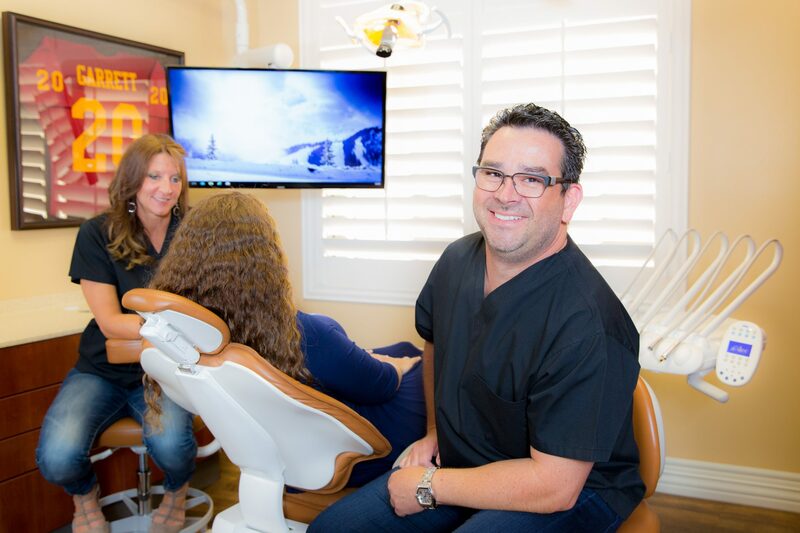 Once you have an experience in our office, you won’t ever want to walk into another dental office again. I grew up in Southern California with a father who was an extremely skilled auto mechanic, and subsequently, a very successful contractor. From my father, I learned the value of fixing things right the first time…with the right tools. My mother makes porcelain dolls by hand and has won numerous awards. She has been on the cover of several international magazines. I gained my artistic and detail oriented skills from her. They have both been very supportive of my dreams and career goals. I graduated from USC School of Dentistry in 1993. As the recipient of the coveted Fixed Prosthodontic Award, I was invited to stay on as faculty at the school (which I did for several years). Actually, I was teaching other students even before graduating! Knowing the value of education, I have always been committed to continuing education in order to stay on the cutting edge in dentistry. My team and I are certified in Laser Dentistry, Invisalign, Implants and have utilized CEREC technology for nearly 10 years! Being 1 of only 7.5% of the CEREC doctors in the USA, it’s important we save our patients time and money with the latest, most durable material that lasts for years. Recently, I have been lecturing and teaching other general dentists how to place dental implants in their own practices. I have been expertly placing and restoring my own dental implants since 2006. It didn’t take me long to realize that I can’t do it alone; therefore, I have assembled what I consider the finest dental office staff in the universe! We attend continuing education courses as a team and meet every morning to discuss each and every patient for the day, as well as strive for constant improvement in our delivery of care. Our patients become our family, and we treat every single person and their entire families the same we would our own! 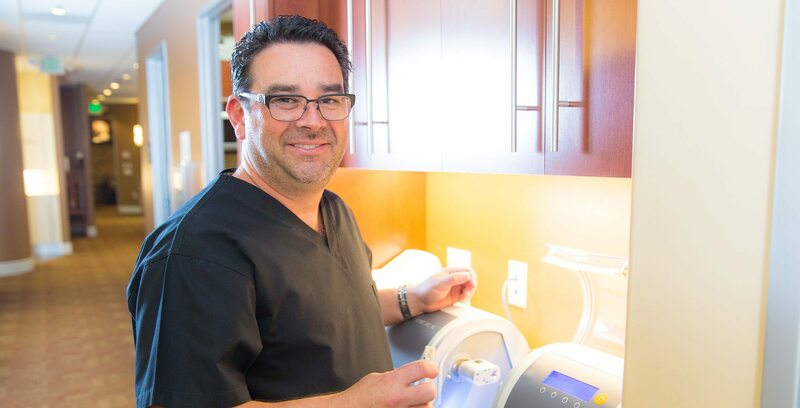 Call (951) 244-9495 to Schedule Your Appointment Today to Meet with a Leading CEREC Doctor, Dr. Derek B. Hauser, or Make an Appointment Online Today. We’ll call you back during business hours and look forward to giving you the best recommendations for your smile and health.